Fancy new socks for your feet, not your pum pum. Founded by Savannah Baker and Gemma Shane, Pum Pum Socks is the latest statement accessory out of the UK. Inspired by her travels to Japan as a teen, where she saw the Harajuku girls rock frilly socks with their full-on costume level looks, Baker decided to keep the kawaii vibes but give the accessory a bad gal flair. 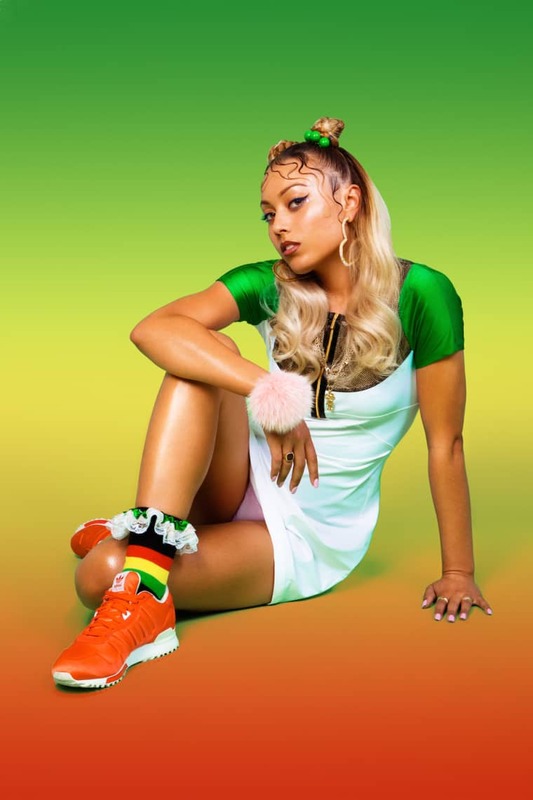 Nodding to her Jamaican heritage and dancehall's love affair with ladies' nether regions (or "pum pum," in Jamaican patois), the resulting collection of "Candy Ragga" socks are equal parts girl power and dancehall queen. "Dancehall culture is such a male-oriented thing," Baker told The FADER. "Pum Pum is a word that's used a lot, but we're repping the gals in scene and we're doing it in a different sense, taking back the word Pum Pum from the men." Though they've already been spotted on the dainty feet of Lana Del Rey and Rita Ora, Pum Pum Socks aren't just for Harajuku girls and pop stars, but were meant to be an everyday accessory for round the way gals, a way to elevate a classic sneakers and skirt look. "If you're wearing a statement necklace, why not wear a statement sock, too," she said. We couldn't agree more. Pum Pum Socks, which launches this winter, will be stocked at Brown's in London, VFiles and Opening Ceremony in the US.